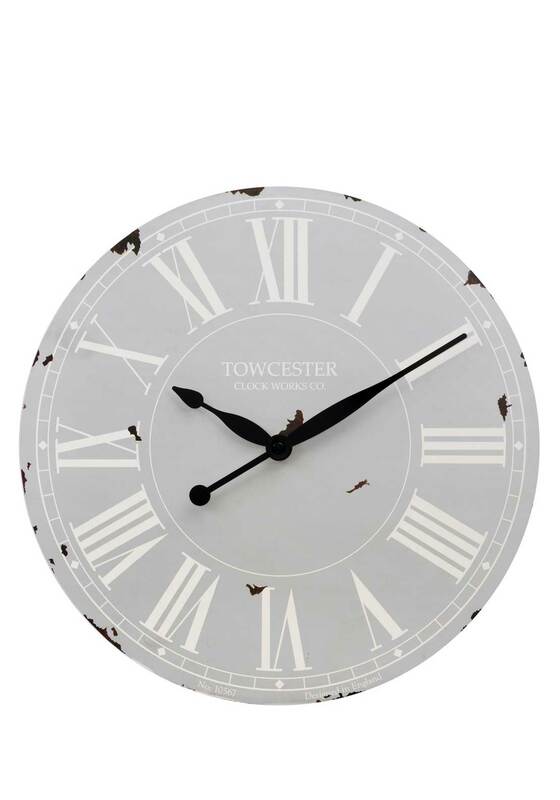 A large wall clock, in smokey grey, with white roman numerals and markers. Black hands make this clock really stand out. 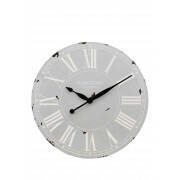 Made from wood, this cool vintage style clock will look great in any sitting room, kitchen, office, or even bedroom.